Lars T Lih (‘All power to the soviets!’ WW 1151, 20-4-17) continues his project of rewriting the history of the Russian Revolution. His aim is to prove Lenin’s April Theses were of no especial significance and there was no real disagreement within the Bolshevik party over it, it was really a continuation of ‘old Bolshevism’ and the right opposition of Stalin, Kamenev, Kalinin etc. was not capitulating to the Provisional government and there was no coming together of Trotsky’s Permanent Revolution and Lenin’s Theses. It was a wholly unnecessary document and it was not the indispensable theoretical and political conquest needed to consummate the great revolution. This is an ignoble exercise to which Lih has devoted his life for more than a decade, joined by acolytes like Eric Blanc and aided and abetted by the CPGB and John Riddell. His target is, of course, Trotskyism-Leninism, the continuity of Leninism as the theory of world revolution. He seeks to prove that this is just nonsense, no one really believed it then and no one in the right mind would believe it now. 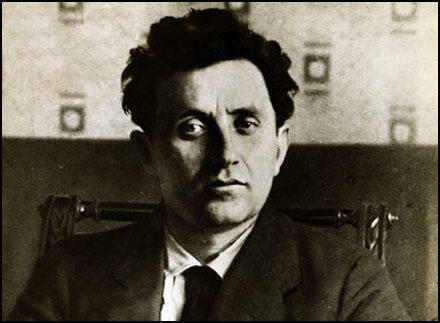 In this manner, Zinoviev admitted his mistake of 1923 (in waging a struggle against “Trotskyism” and even characterized it as much more dangerous than that of 1917 – when he opposed the October insurrection!). The fourth rewrite came with the expulsion of the right Bolsheviks led by Bukharin in 1929. “The fate of Bukharin is no less well known: the official champion of pure Leninism was soon proclaimed a “bourgeois liberal”, was later pardoned and is now in jail awaiting trial”, Trotsky tell us. Bukharin was immediately executed after this trial. As we know by 1936-38 all these former allies of Stalin were executed in the Great Purges. As for A. A. Bogdanov’s latest works, which I have had no opportunity to examine, the appended article by Comrade V. I. Nevsky gives the necessary information. Comrade V.I. Nevsky, not only in his work as a propagandist in general, but also as an active worker in the Party school in particular, has had ample opportunity to convince himself that under the guise of “proletarian culture” A. A. Bogdanov is imparting bourgeois and reactionary views. He was also executed. This was obviously the fifth major rewriting of history necessary to justify the Great Purges which now revealed that without Stalin there would have been no Russian Revolution, all the rest were traitors and/or agents of imperialism, apart from Lenin who had been safely iconised in his mausoleum. Lars builds on an ignoble tradition. But the real distortions Lars T Lih uses to prove these ridiculous theses are to misrepresent the programme of the Bolsheviks pre-April 1917, to misrepresent Lenin’s stance in April 1917, to hide the capitulation of Kamenev, Stalin, and M. K. Muranov to the Provisional government before April and to rip the debate out of its international context. “Kalinin endorsed the soviets as a vehicle for the class vlast of the workers and peasants, à la old Bolshevism. 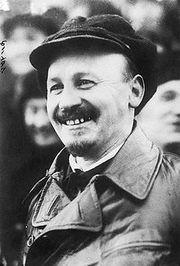 Nevertheless, he did not endorse Lenin’s own personal enthusiasm about the soviets as a higher type of democracy… As soon as the soviets and their mass base grasped these realities (as the Bolsheviks believed them to be), they would take “full and complete vlast [vsia polnota vlasti] into their own hands. Insofar as the revolution is going to develop and to deepen, it will come to this: to the dictatorship of the proletariat and the peasantry”. “Whoever now talks only about the ’revolutionary-democratic dictatorship of the proletariat and peasantry’ has lost touch with life, has, in virtue of this circumstance, gone over, in practice, to the petty bourgeoisie against the proletarian class struggle; and he ought to be relegated to the museum of ’Bolshevik’ pre-revolutionary antiquities (or, as one might call it, the museum of ’old Bolsheviks’). “By participating in the provisional government, we are told, Social-Democracy would have the power in its hands; but as the party of the proletariat, Social-Democracy cannot hold the power without attempting to put our maximum programme into effect, i.e., without attempting to bring about the socialist revolution. In such an undertaking it would, at the present time, inevitably come to grief, discredit itself, and play into the hands of the reactionaries. Hence, participation by Social-Democrats in a provisional revolutionary government is inadmissible. These are two counterposed views of historical perspectives for the Russian Revolution. It would indeed be a bourgeois revolution, Trotsky assessed then, but one that could nor sustain itself without expropriating the bourgeoisie and making the socialist revolution – hence the uninterrupted, permanent revolution. No whole historic period of consolidating the bourgeois republic and building up its resources was possible, and, contrary to Lars, a few months is NOT an historical era in which the democratic dictatorship of the proletariat and peasantry reigned: dual power reigned in this period which had to be and was settled in the immediate future in favour of one class only. Fully aware of this Lenin now abandoned the first, ‘old Bolshevik’ perspective and adopted the second in his April Theses. An earlier understanding on the imperialist nature of the world economy and then his experience as the head of the Petrograd soviet in 1905 led Trotsky to propose his famous theory of permanent revolution, developed in 1905. He saw the new form of participatory democracy embodied in the 50-odd soviets that sprung up throughout Russia at the time and knew this was the solution to Marx’s “contradiction between the political state and civil society”. In summary, his theory proposed the socialist revolution because of the combined and unequal character of the Russian economy, a highly-concentrated working class at the centre of huge modern factories and the weak bourgeoisie at the centre of an overwhelmingly peasant economy. This would enable the working class to take power in Russia first. The April Theses is imbued with this internationalism. That is why Lenin proposed to change the name of the party to the Communist Party and to form a new international. The Third Communist International, the Comintern, was proposed for the first time here because world revolution was the goal he sought. So, this two month stage was not a stage at all as the pe-1917 Bolshevik programme had understood it, as Lenin had understood it in 1905 and as the later Stalinist two stage revolutions proposed and operated until looming disaster forced them to expropriate the capitalists to save themselves in various countries. Bourgeois democracy now and socialism as a pie-in-the-sky illusion for the masses whilst we enrich ourselves was the scenario of the worst of the Stalinists; that’s what the ANC did in South Africa. In 1982, Barnes gave a speech which was later published as Their Trotsky and Ours: Communist Continuity Today in which Barnes rejected Trotsky’s theory of Permanent Revolution arguing that it failed to sufficiently distinguish between the democratic and socialist tasks of a workers’ revolution. Barnes argued that anticapitalist revolutions typically began with a “workers’ and farmers’ government” which initially concentrated on bourgeois-democratic measures, and only later moved on to the abolition of capitalism. 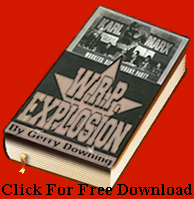 We would cite the foreword that Lenin wrote to Bukharin’s work on Imperialism in 1915  and his own 1916 Imperialism, the Highest stage of Capitalism  as the two works that gave Lenin that fundamental understanding of the interconnectedness of the whole world economy, the struggle against imperialism as a truly global one and one which could not be won in a single country. That profound internationalism was the necessary theoretical preparation for the April Theses that brought Lenin and Trotsky together theoretically and politically. It is very telling that neither Lars T Lih nor Eric Blanc have anything to say on this aspect of 1917 in their quest to discredit Lenin and Trotsky and rehabilitate the rightist Bolshevik opponents of the great Socialist Revolution of October 1917. So, we see that the feet-on-the-ground Kalinin had a well-founded scepticism of Lenin’s “personal enthusiasm about the soviets” and he “shows his awareness” (that’s Lih’s clear endorsement of Kalinin’s views – GD) that this Lenin bloke was an out-of-touch character, a bit of a simple-minded nutter who had been waylaid by ‘émigré polemics’. But “Lenin’s own personal enthusiasm about the soviets” was the absolute nub of fundamental disagreement with the whole rightist crew because this was the question of which class was to rule, the working class or the bourgeoisie? 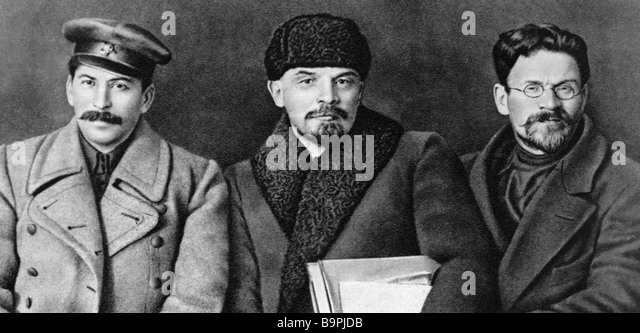 Lenin was for the former, the rightists were for the latter; on this argument hung the fate of the Russian revolution. “Renaming the party and the soviets as a higher form of democracy (in contrast to the soviets as a vehicle for the worker/peasant vlast)” is the difference between a bourgeois republic run by a capitalist government, albeit led by the working class and carrying out the Bolshevik minimum programme and a socialist revolution led by the working class mobilised in the Soviets as the first step of the world revolution. One would have led inevitably to an horrendous massacre of all revolutionaries in Russia and the other to the victory of the revolution. Lih seems blissfully unaware that the ‘worker/peasant vlast’ is a capitalist government (eight time he uses this confused phrase rejected by Lenin) and that the working class to take power must rest on this higher form of democracy, i.e. soviet democracy, the socialist revolution. The fact that the CPGB, who host so much of his musing, have this position too is no accident. The difference made by Lenin did not “drift into the fine print” dismissed and misunderstood but produced the greatest single event ever in the struggle for human liberation. Kamenev and Stalin surely understood the target of his ire included them as well. So definitely a whopping lie here from Lars T.
Mikhail Ivanovich Kalinin (1875 – 3 June 1946), Stalinist hack who survived the purges by agreeing to them all. In April 1917 Kalinin, like many other Bolsheviks, advocated conditional support for the Provisional Government in cooperation with the Menshevik faction of the RSDLP, a position at odds with that of Lenin. He continued to oppose an armed uprising to overthrow the government of Alexander Kerensky throughout that summer. the reference Wiki give for this gem is ‘Jackson, George; Devlin, Robert (eds. ), Dictionary of the Russian Revolution. Westport, CT: Greenwood Press, 1989; pp. 295-296.’ Nikita Khrushchev said, “I don’t know what practical work Kalinin carried out under Lenin. But under Stalin he was the nominal signatory of all decrees, while in reality he rarely took part in government business. Sometimes he was made a member of a commission, but people didn’t take his opinion into account very much. It was embarrassing for us to see this; one simply felt sorry for Mikhail Ivanovich.” Kalinin kept a low profile during the Great Purge of 1937. He was well aware of the repression, and between 1937 and 1941 hundreds of people went to his dacha or sent petitions to him asking for help against the arrests. Although he opposed the executions of personal friends like Avel Enukidze, he remained submissive to Stalin, who, under the pretext of protecting him, had his apartment constantly monitored by NKVD officers. And if you wondered who Avel Enukidze was Wiki tells us that he was the author of The Law of Spikelets which was used to prosecute not only real thieves (such as corrupt officials) but also anyone who even gleaned as little as a handful of grain or spikelets left behind in the fields after the entire harvest was officially collected and counted. It was thus a draconian measure, effectively a law of specks, where even 3 specks of food in a starving person’s pocket during the Soviet famine of 1932–33 qualified them as a thief of state-owned food in the government’s view. Stalin had him shot in 1937 because he had suggested to him in a friendly conversation he stand down as leader of the USSR. It is clear that Lenin and Trotsky led that revolutionary struggle and nor Lars T’s pathetic conciliators, Zinoviev, Kamenev Kalinin, Lunacharsky et al. How did the present Centrists and, above all, Stalin, conduct themselves on this question? In the nature of things, Stalin was a Centrist even at that time. He occupied a Centrist position whenever he had to take an independent stand or to express his personal opinion. But this Centrist stood in fear of Lenin. It is for this reason that there is virtually no political trace of Stalin during the most critical moments of the ideological struggle – from April 4, 1917, up to the time Lenin fell ill.
Lenin: I cannot make a report but I shall give some information upon a question which is of great interest to all. That is, the question of the crisis in the party, which broke out [openly] at a time when the party was already in power. The polemic waged by Rabochi Put , and my speeches against Kamenev and Zinoviev are no news to all those who have been following the life of the party … The question of the armed insurrection was raised at the October 1 session of the Central Committee … However, certain [old] members of the Central Committee came out in opposition. This grieved me deeply. Thus, the question of power has been posed for a long time. Couldn’t we now renounce it because of the disagreement on the part of Zinoviev and Kamenev? The insurrection was [objectively] necessary. Comrades Zinoviev and Kamenev began to agitate against the insurrection, and we began to look upon them as strike breakers. I even sent a letter to the Central Committee with a proposal to expel them from the party. And now, at such a moment, when we are in power, we are faced with a split. Zinoviev and Kamenev say that we will not seize power [in the entire country]. I am in no mood to listen to this calmly. I view this as treason. What do they want? Do they want to plunge us into [spontaneous] knife- play? Only the proletariat is able to lead the country. As for conciliation, I cannot even speak about that seriously. Trotsky long ago said that unification is impossible. Trotsky understood this, and from that time on there has been no better Bolshevik. Zinoviev says that we are not the Soviet power. We are, if you please, only the Bolsheviks, left alone since the departure of the Social Revolutionists and the Mensheviks, and so forth and so on. But we are not responsible for that. We have been elected by the Congress of the Soviets. This organization is something new. Whoever wants to struggle enters into it. It does not comprise the people, it comprises the vanguard whom the masses follow. We go with the masses-the active and not the weary masses. To refrain now from extending the insurrection [is to capitulate] to the weary masses, but we are with the vanguard. The Soviets take shape [in struggle]. The Soviets are the vanguard of the proletarian masses. And now we are being invited to wed the City Duma – how absurd! I think everyone must acknowledge this is Lenin in his best fighting revolutionary form handing out a merciless ear-bashing to the rights whom Lars T Lih would like to try to persuade us were the real heroes of the Russian Revolutions. It is clear that Lenin and Trotsky led that revolutionary struggle and nor Lars T’s pathetic conciliators. Finally, note that Lenin proposed to expel Zinoviev, Kamenev, and Lunacharsky for going to Maxim Gorky’s Menshevik press and revealing the date of the insurrection so that the policemen of the Provisional government could read all about it. Fortunately, they were in not position to do anything about it. But he did not propose to shoot any of them. Stalin did shoot some 80, 000 according to his own official records in the years 1936-38, most of whom were totally innocent and for other crimes not a thousandth as treacherous as those committed by Stalin’s comrades, the rights, just four days before the storming of the Winter Palace. E. H. Carr, The Bolshevik Revolution, London, Macmillan Publishers, 1950, vol. 1, p. 75. I did not write that. I was quoting Carl Davidson. OK, apologies, I’ll rectify today. Done. Apologies again for that bit of carelessness on my part. Nevsky also wrote on the South-Russian Workers Union in Nikolaev in 1897 (which can be considered the first biography of Trotsky). Thanks, Noa. I have altered the article to reflect. But I don’t see reason to think that Lih wants to rehabilitate Stalin and his allies. Nor to propound a version of the revolutionary democratic dictatorship of the proletariat and peasantry. Certainly Lih’s exponent, the CPGB, wants to celebrate neither Stalin nor the peasantry. Probably the main significance of Lih’s work – if this can be used as a guide to his aims – is to discredit Trotsky. Not so much by depriving him of the credit for theorizing the Russian revolution but more so by depicting Trotsky as dishonest, as advancing his own self-interested historical fabrications (or at least exaggerations).